Beautifully produced with fade-resistant inks, these antique dials are carefully mounted on laser cut, .25" thick, panel bases and feature antique-black hands and a quartz movement. 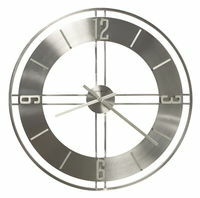 Available with a seconds and dual hour movement. 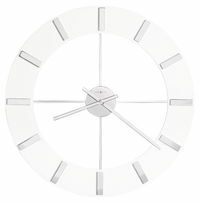 Quartz, battery-operated movement requires three AA sized batteries (not included). Howard Miller Enrico Fulvi Wall Clock 620-369 features an antique medallion accented with gold highlights. 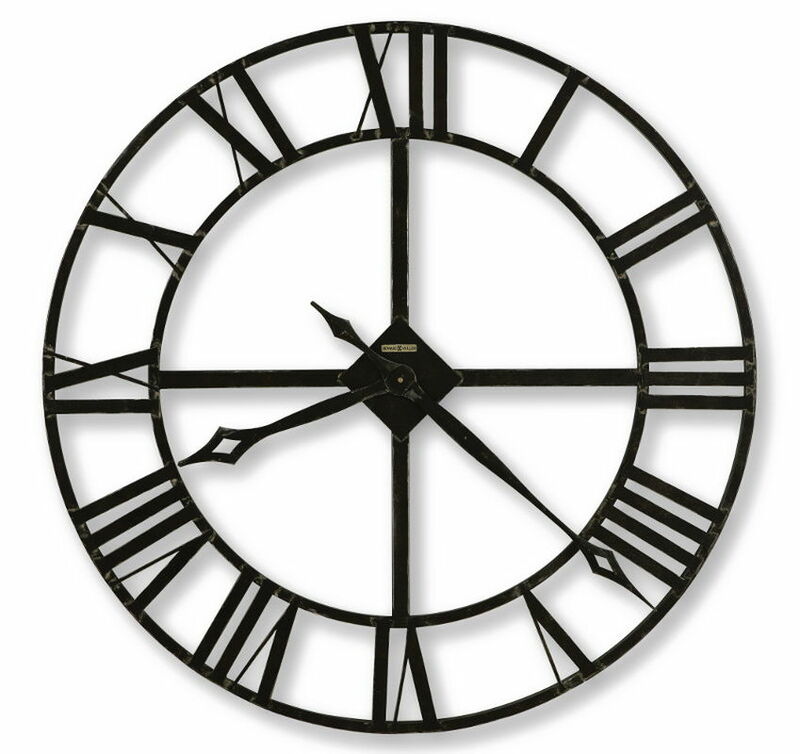 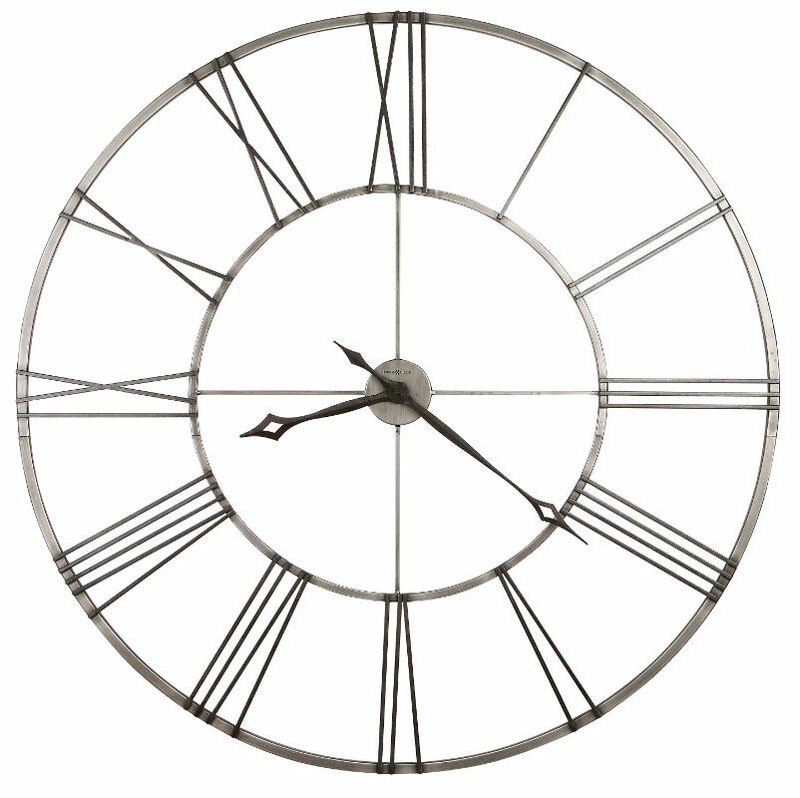 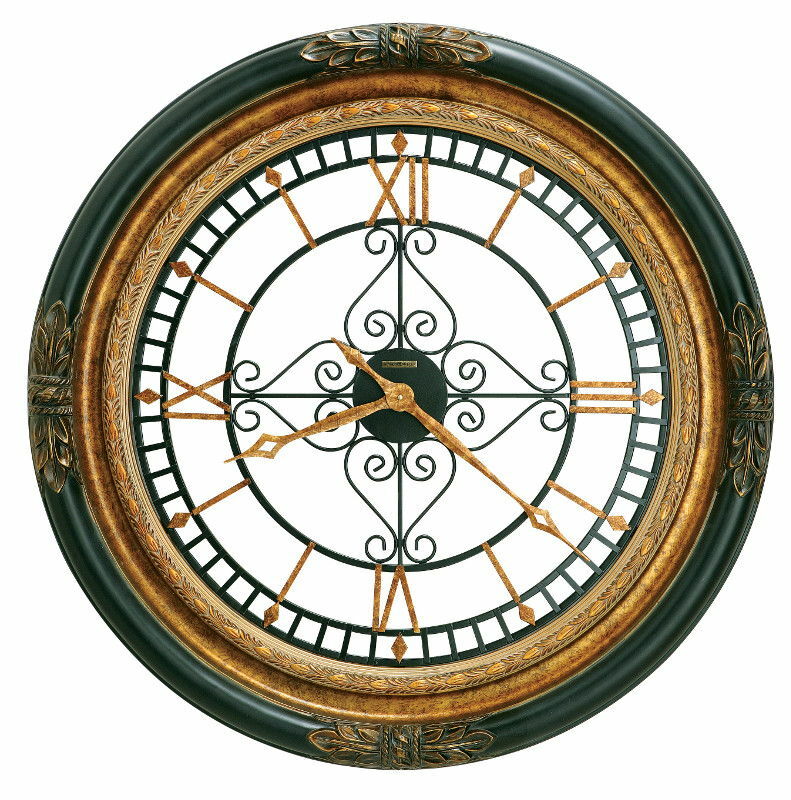 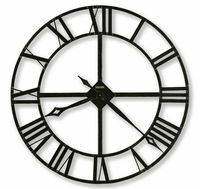 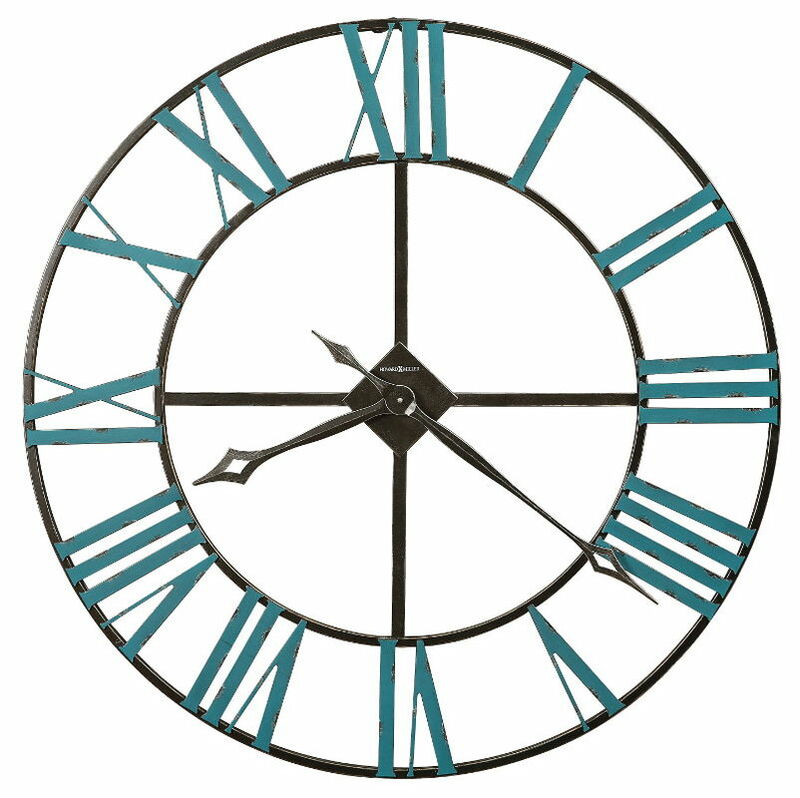 Beautifully produced with fade-resistant inks, this 32" antique dial is carefully mounted on a laser cut, .25" thick, panel base and features antique black hands and a quartz movement. 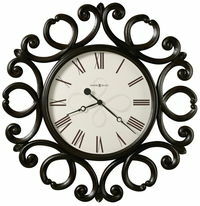 Finished in Windsor Cherry on select hardwoods and veneers.This 25" gallery wall clock features a 3.25" wide hardwood frame. 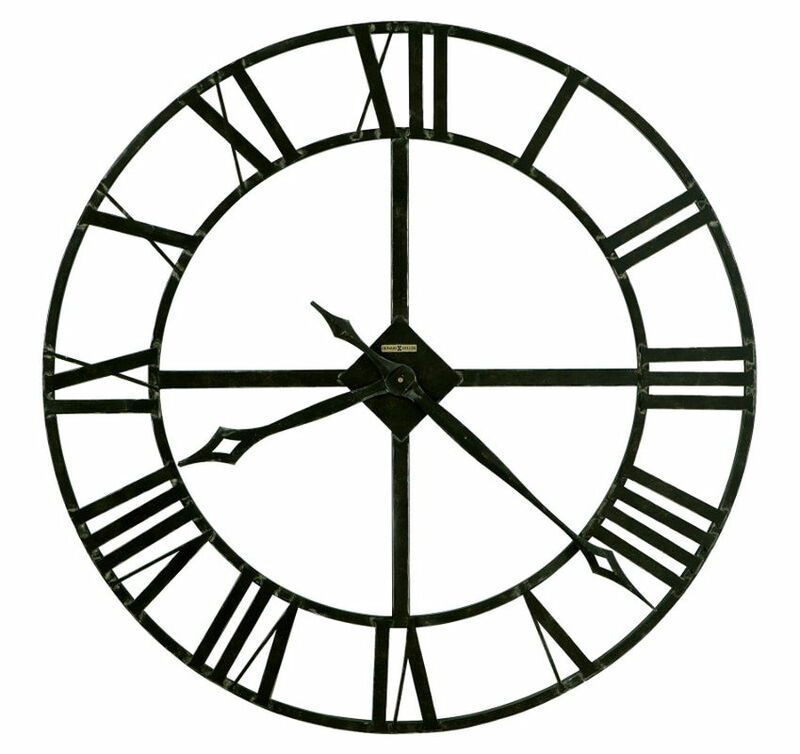 An off-white dial sits beneath a glass crystal and offers black Arabic numerals, black spade hands and a cut-out at the "6" position.The spun antique brass-finished pendulum shows through the peep-hole opening. 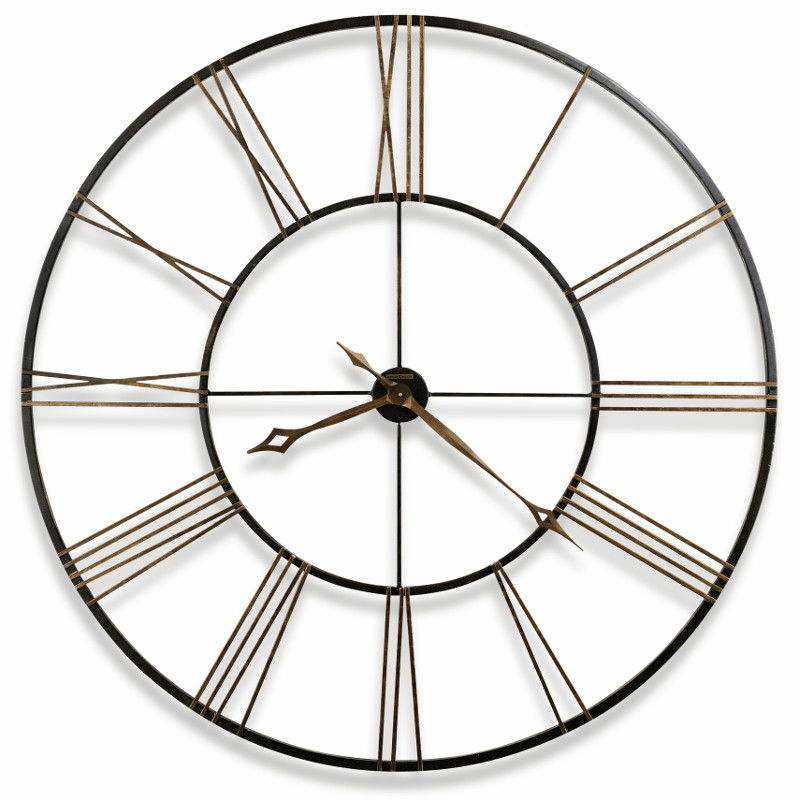 This Moment in Time™ gallery clock features a brushed brass-finished pendulum viewed through a window at the numeral "6" position. 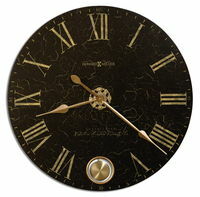 The aged dial offers black-crackle finish with aged gold center medallion and gold hands. 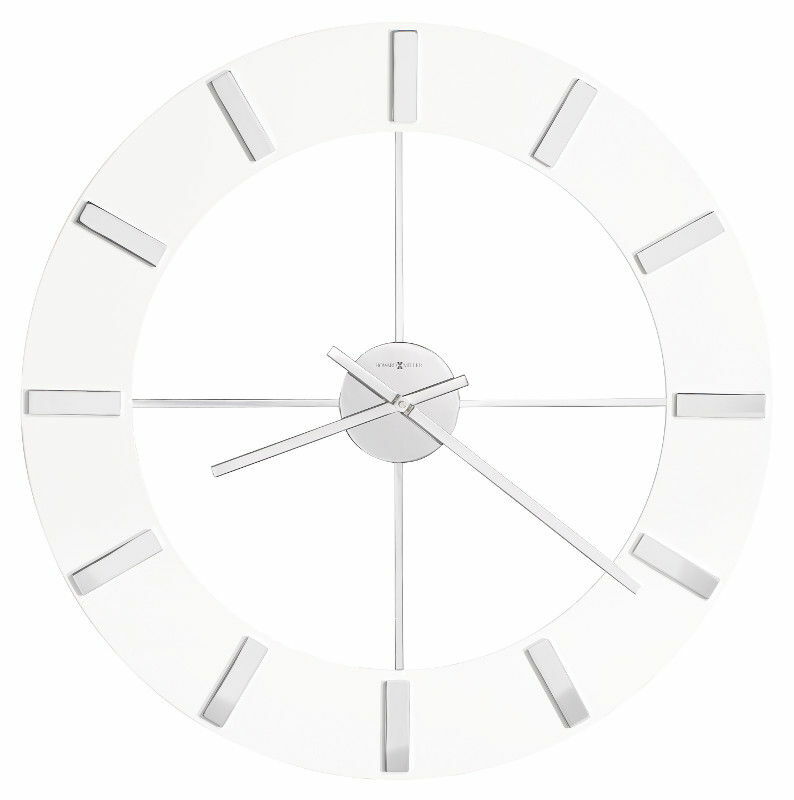 Quartz, battery-operated movement requires two AA szied batteries (not included). 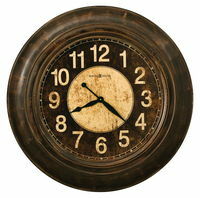 Vintage Umber finish on select hardwoods and veneers is lightly distressed for an aged appearance. 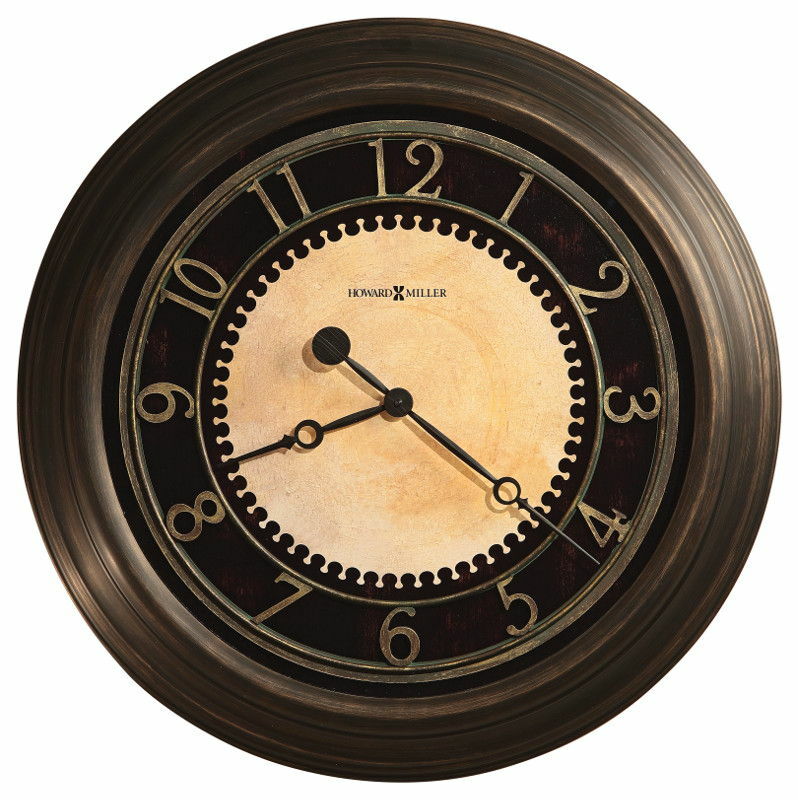 This 32.5" gallery clock's dial is aged with black Arabic numerals, and features an antique brass-finished pendulum visible through peephole. Aged black minute and hour hands with red second hand, and glass crystal complete the look. 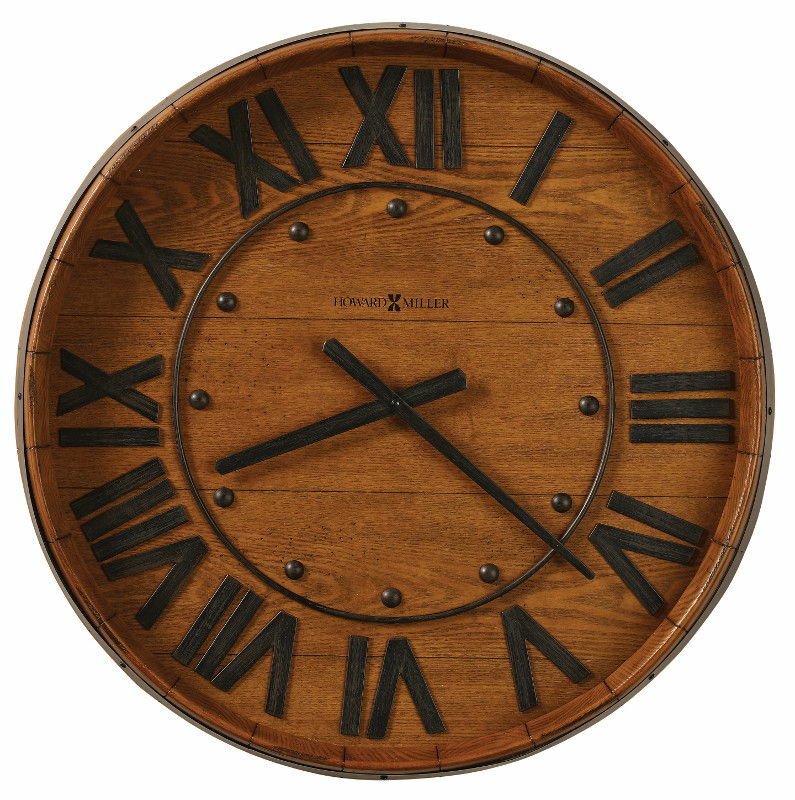 Dimensions (Height x Width x Depth): 9 x 5.8 x 5"
This 25" gallery wall clock features Heirloom Oak finish and an applied metal band to resemble an authentic oak wine barrel. The inner and outer rings and spade hands are finished in a warm gray iron. 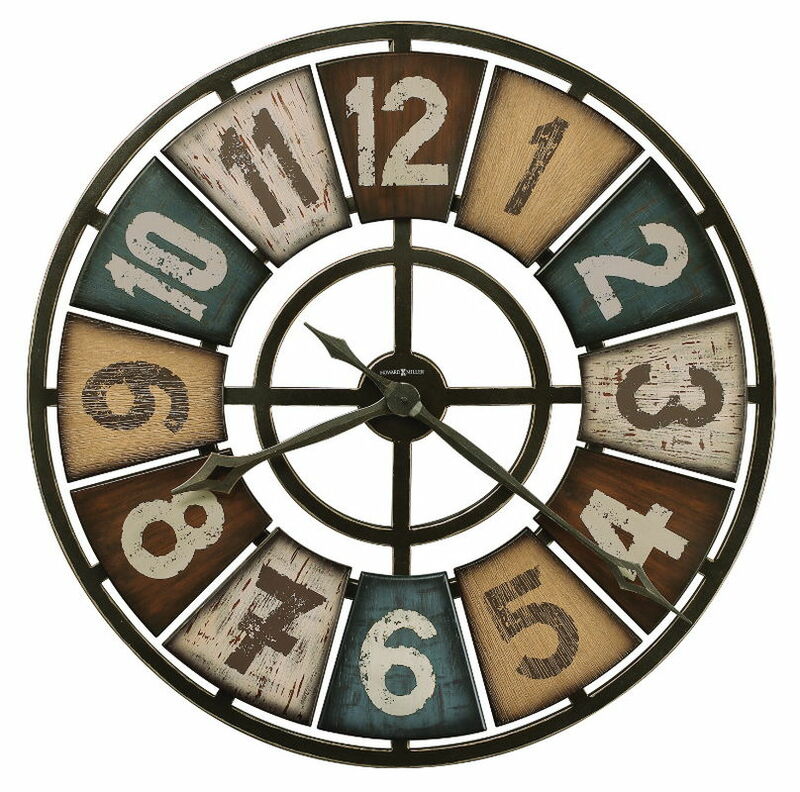 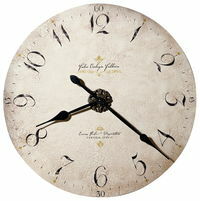 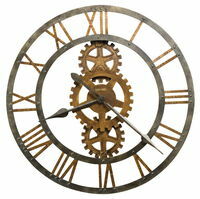 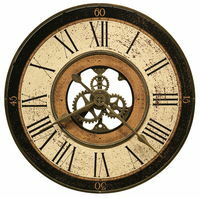 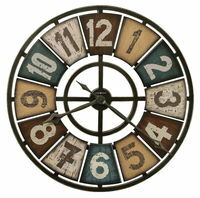 Features antique brass-finished gears and numerals. This 33" diameter oversized gallery wall clock features a heavily distressed rustic wood frame with a driftwood finish and burnished edges. 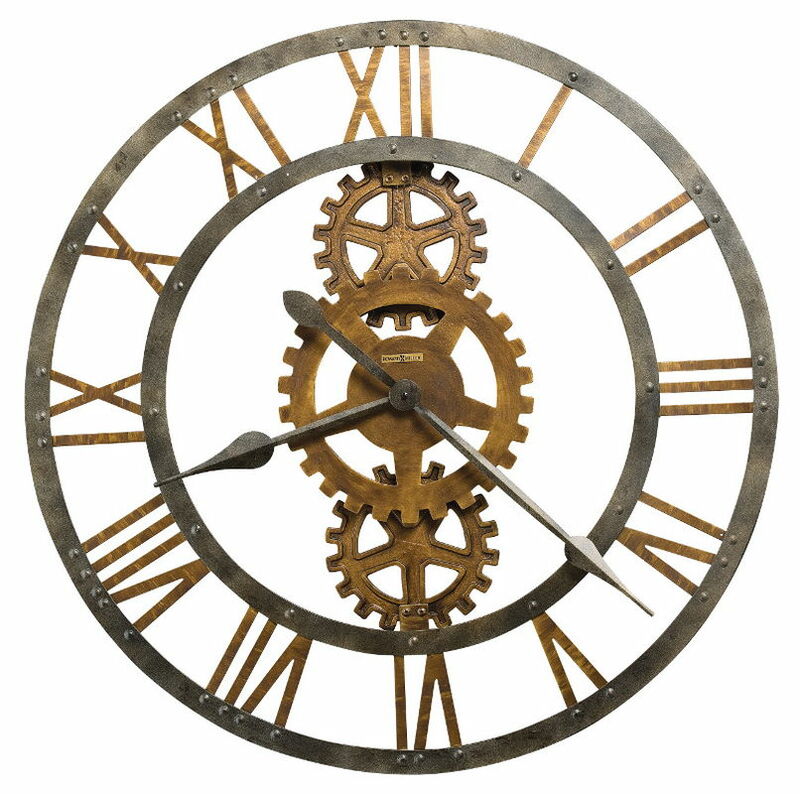 The open dial is an aged, rust-finished antique gear assembly with cast Roman numerals. 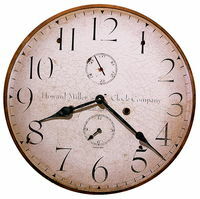 Aged, rust-finished hour and minute hands. 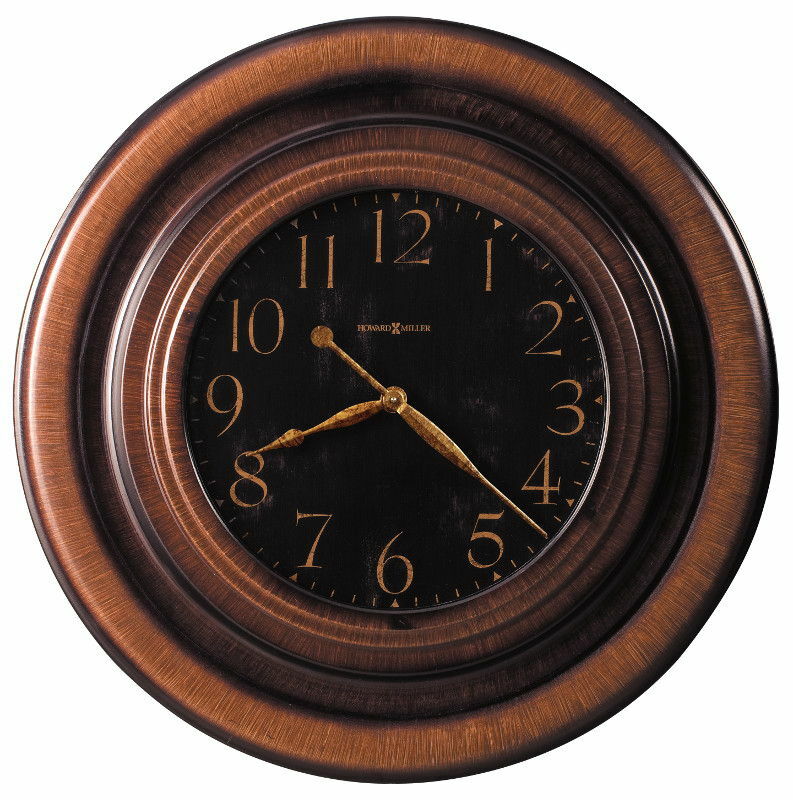 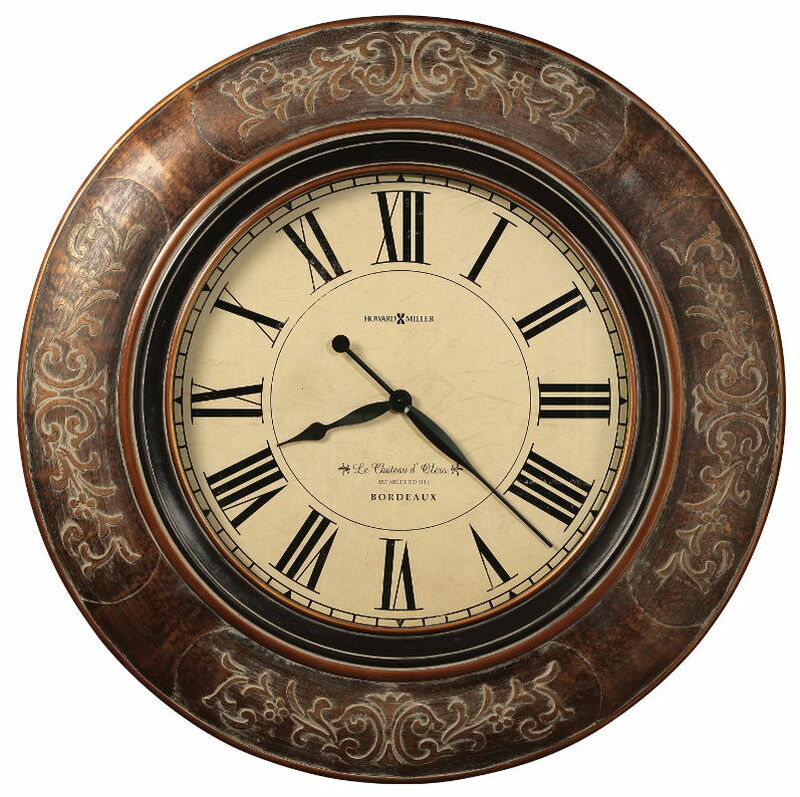 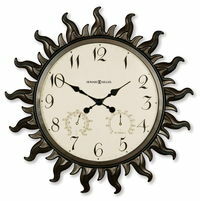 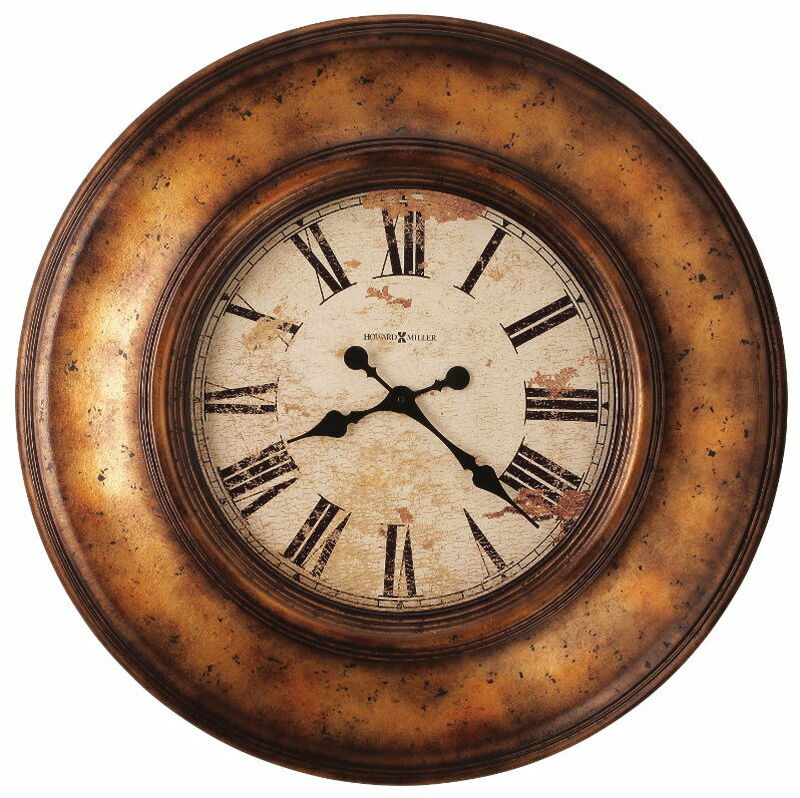 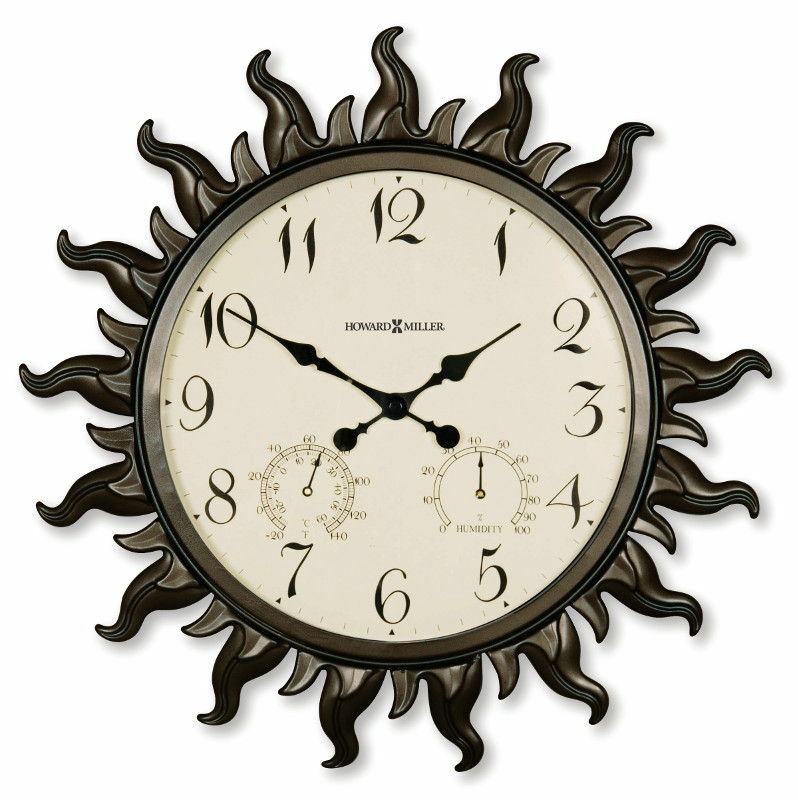 This 37.25" diameter oversized gallery wall clock features a raised vine pattern on the frame, and is finished in burnished brown with a dusty glaze hang up. 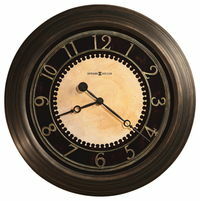 Aged parchment dial with aged black Roman numerals, a black and antique gold bezel, and a glass crystal. 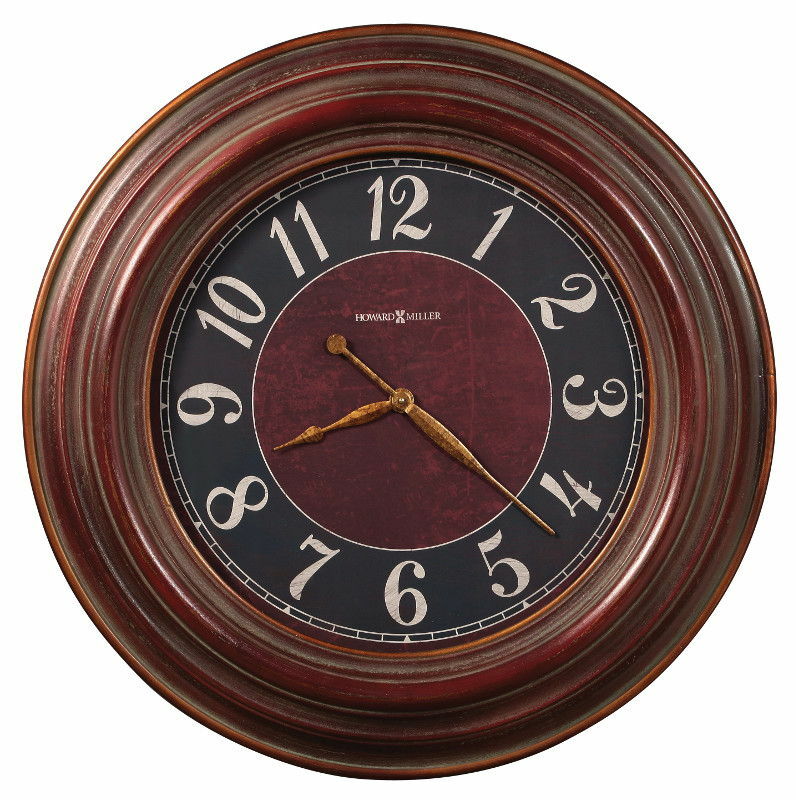 This 35.5" diameter oversized gallery wall clock features an antique red finish with a dusty gray glaze and antique gold trim. 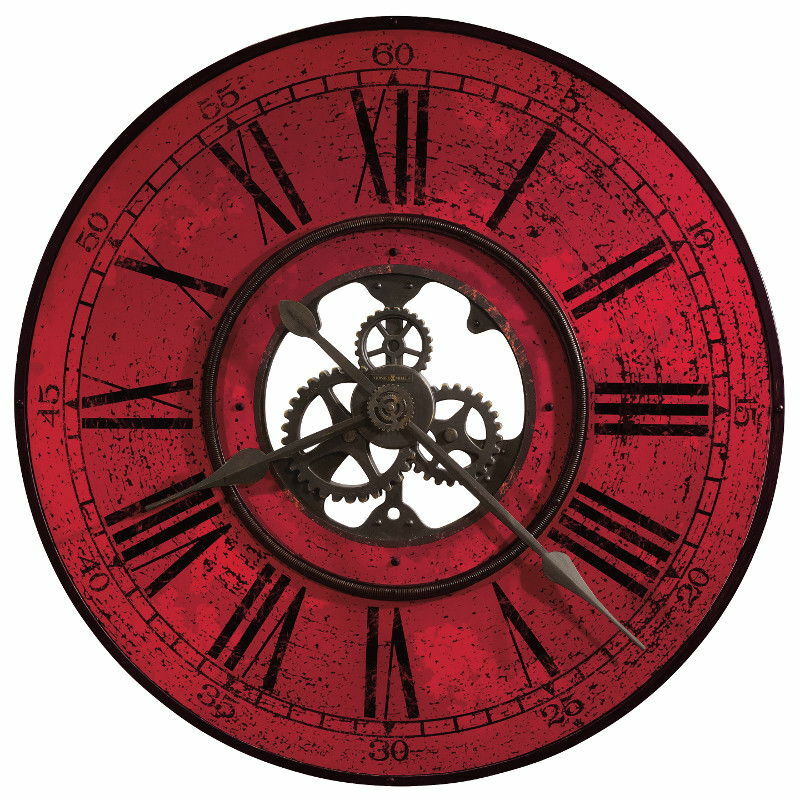 The dial features an antique red center, an aged charcoal numeral ring with aged gray Arabic numerals and a flat glass crystal, surrounded by an antique gold bezel. 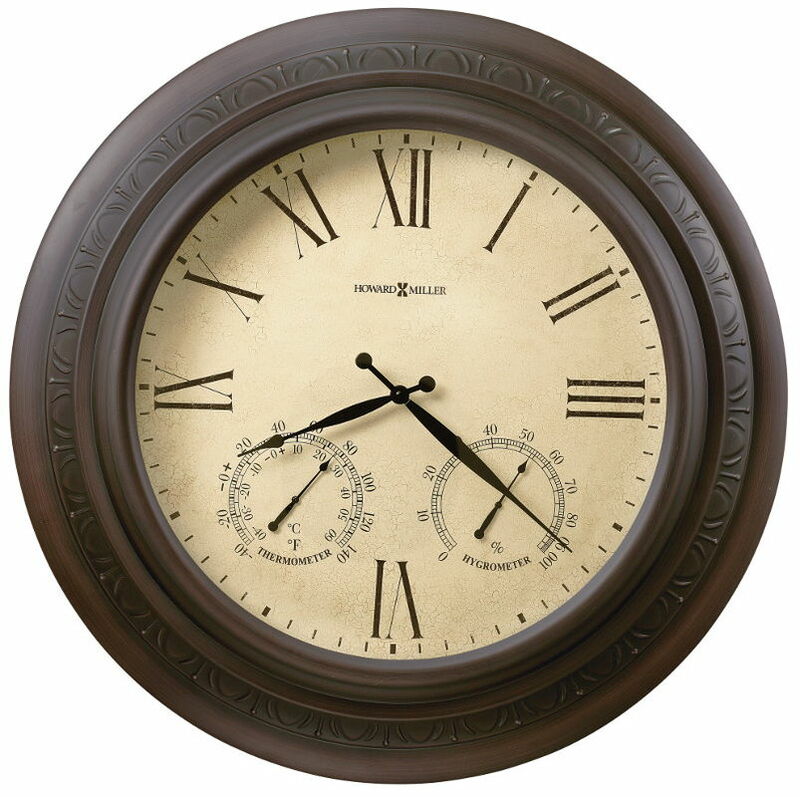 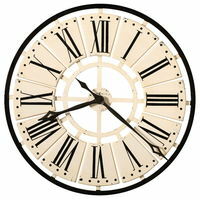 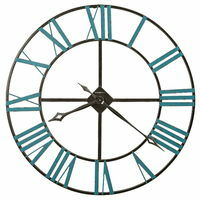 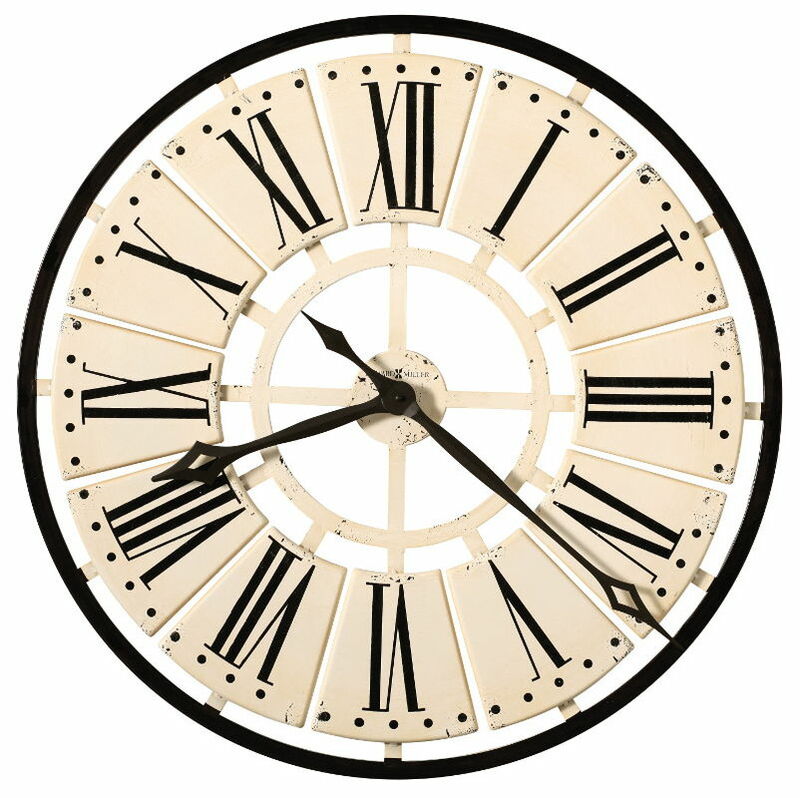 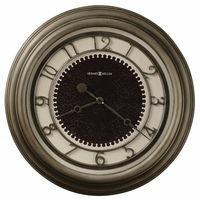 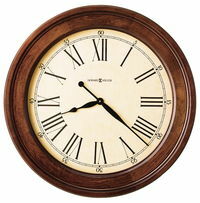 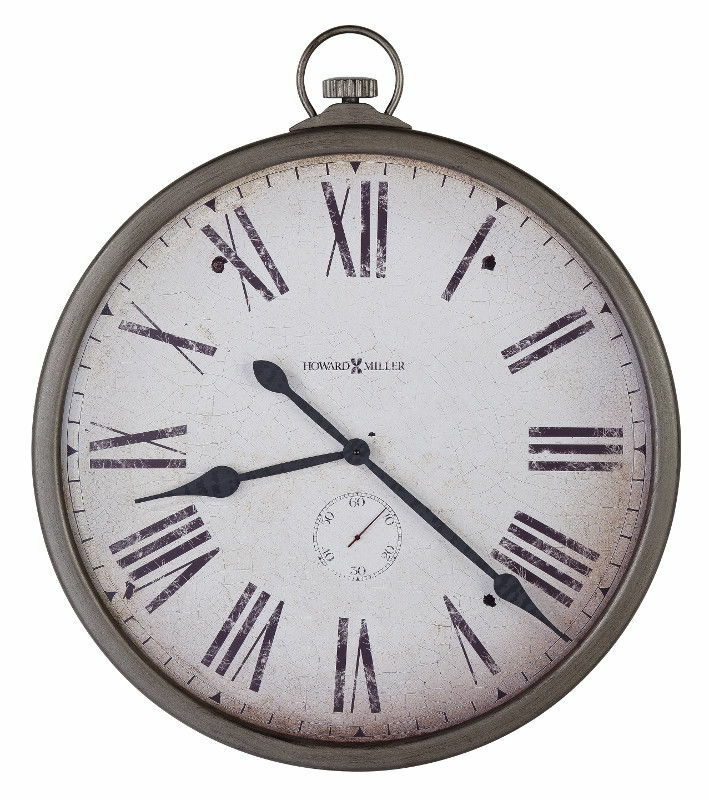 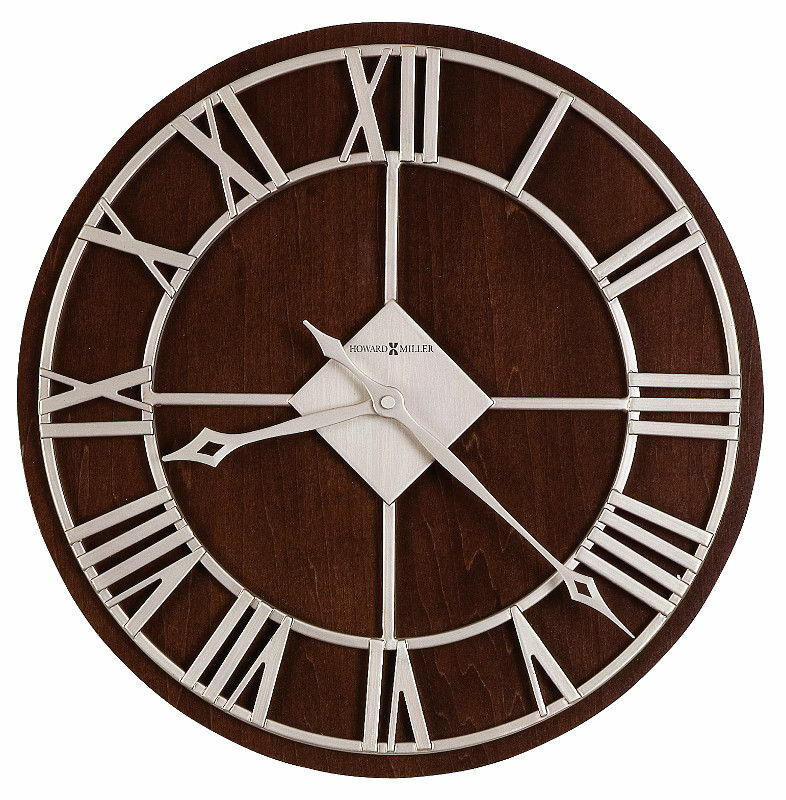 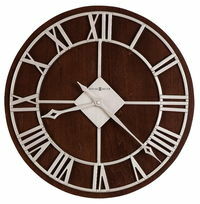 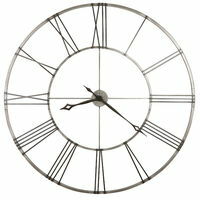 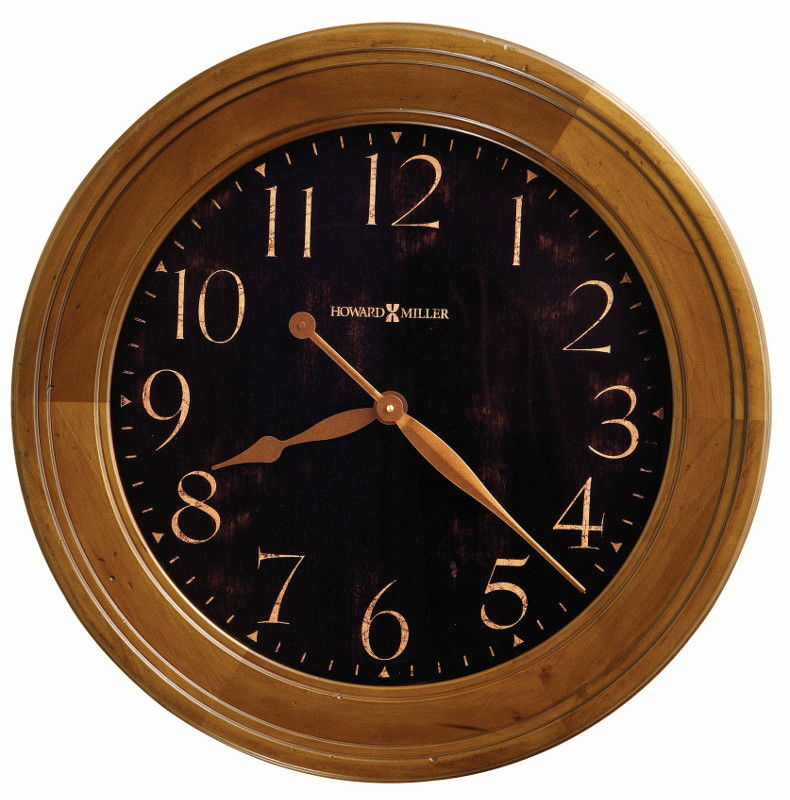 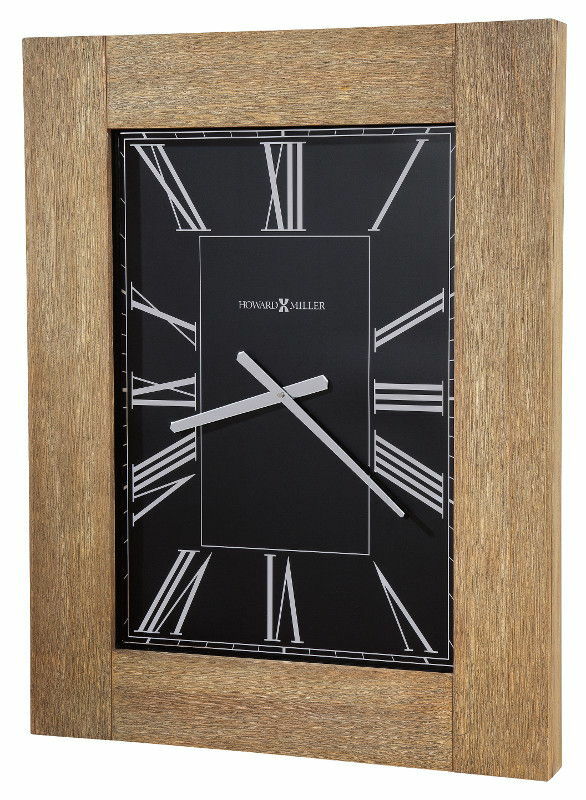 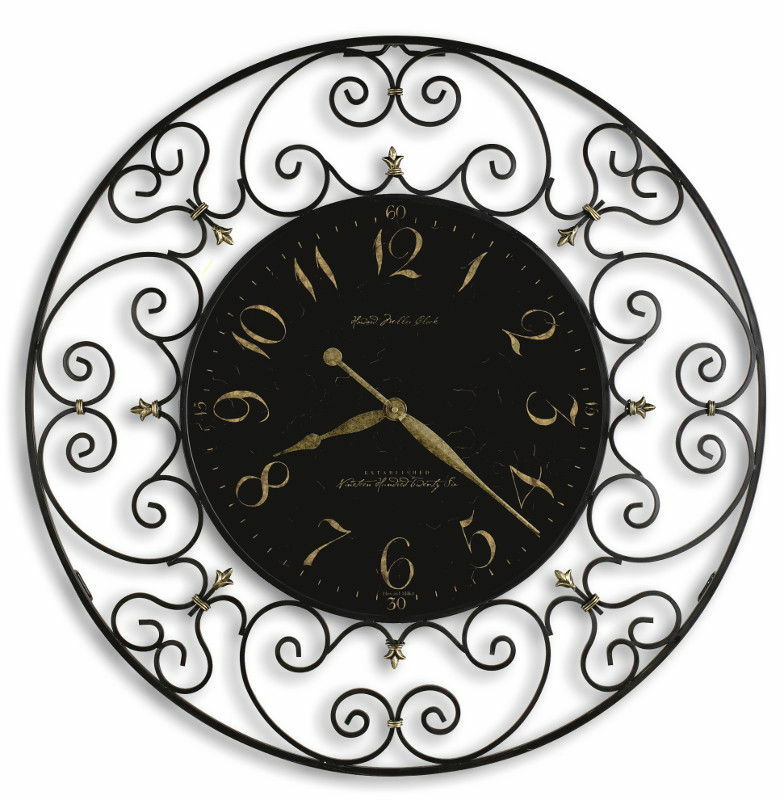 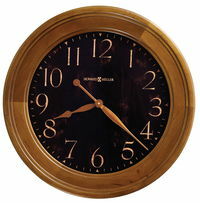 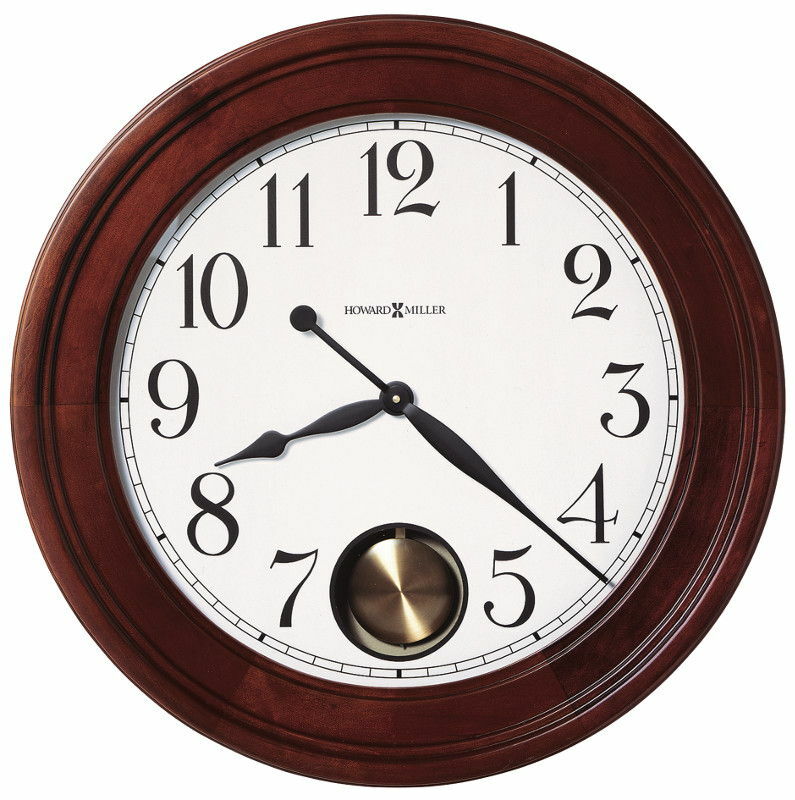 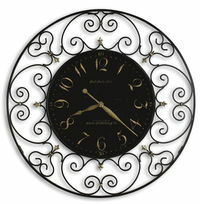 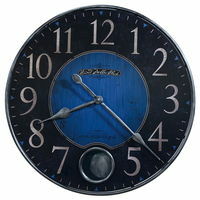 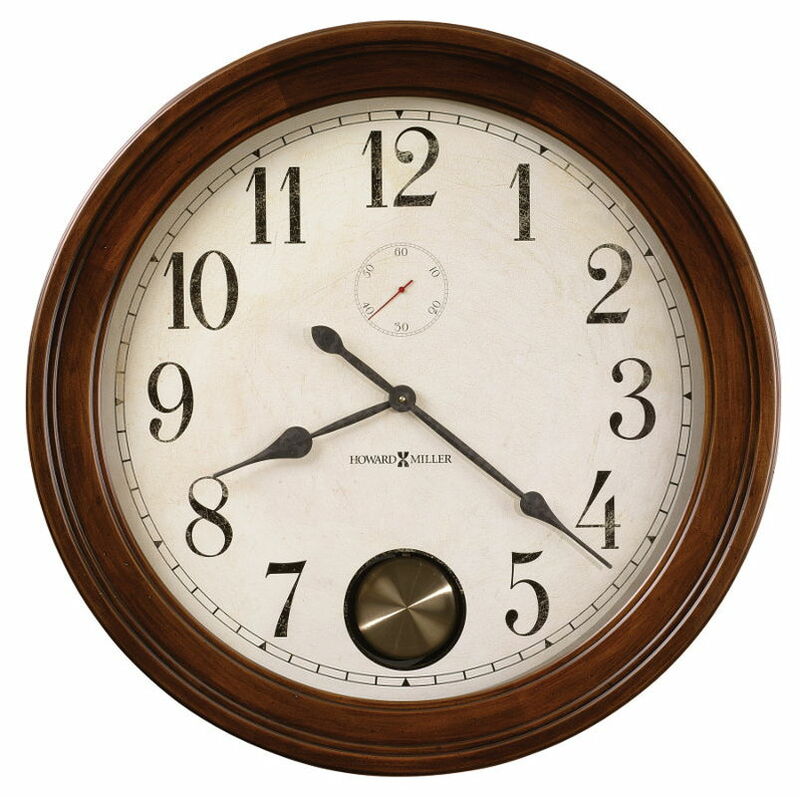 This 29.5" oversized gallery wall clock features a dramatic, profiled, metal case with a unique, brown brushed finish. 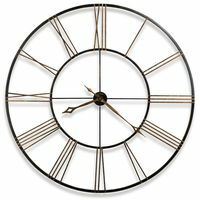 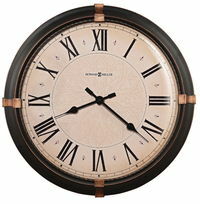 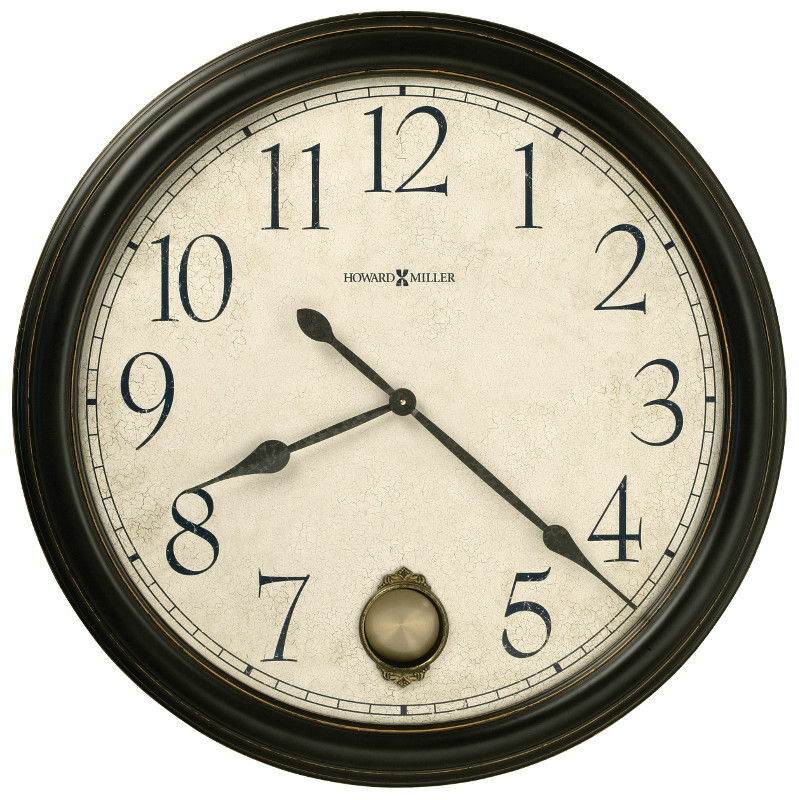 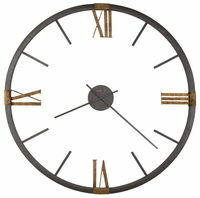 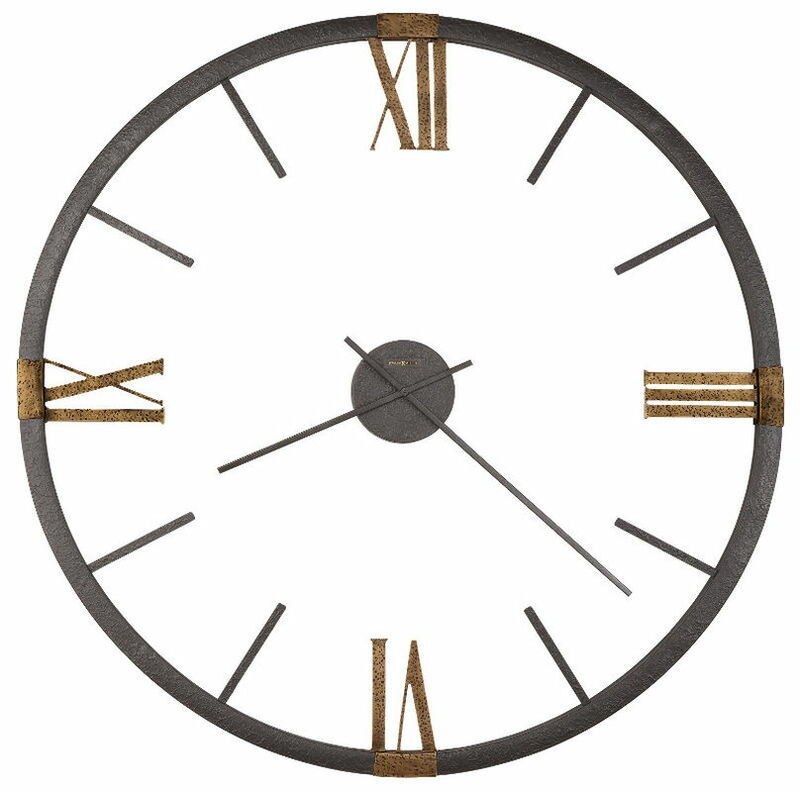 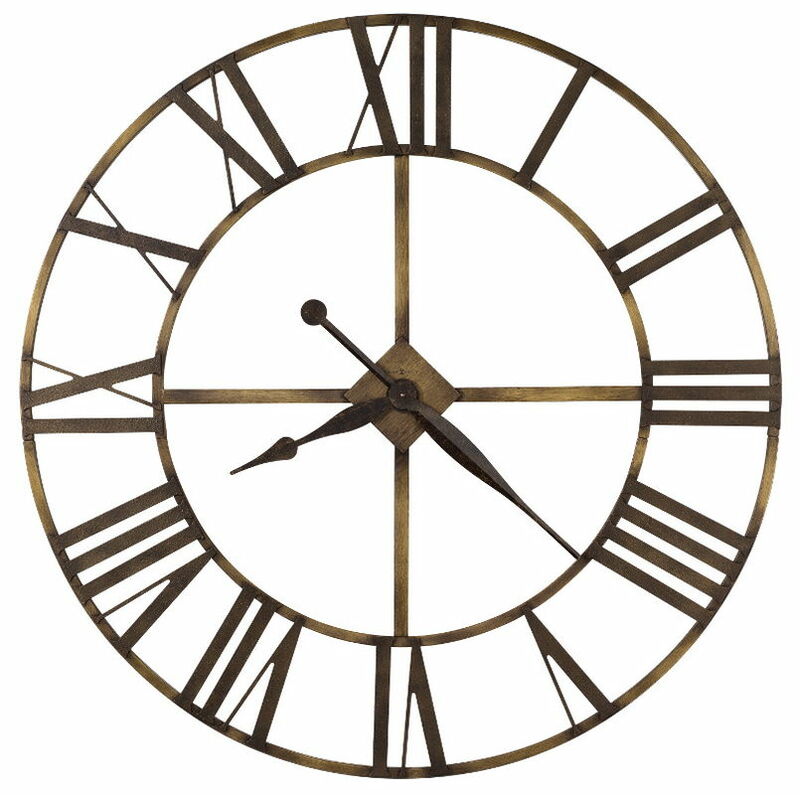 This 29.5" oversized gallery wall clock features a significant metal case with an aged copper finish. Antique dial with worn black Roman numerals, worn black hands, and glass crystal. 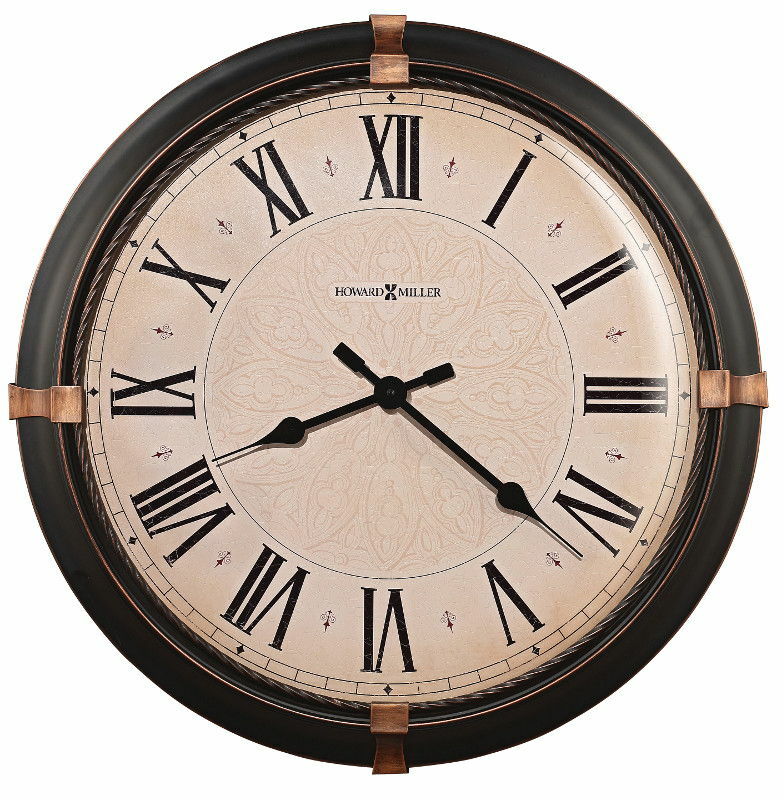 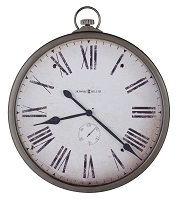 The aged dial features aged brown Roman numerals and "Established Nineteen Hundred Twenty Six" printed on the dial. 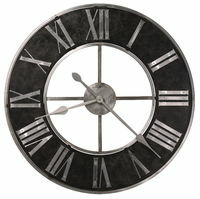 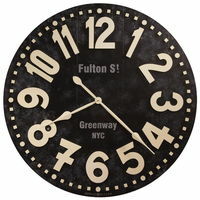 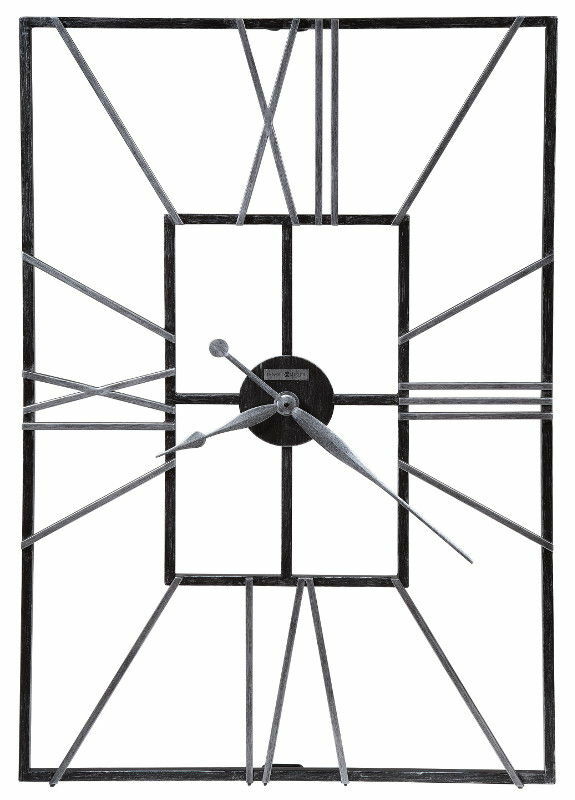 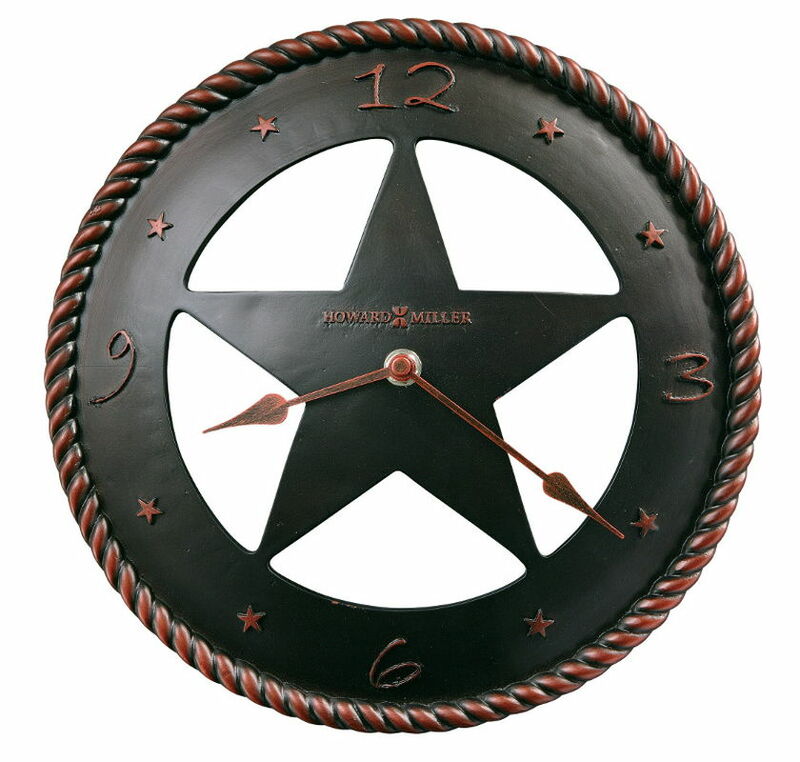 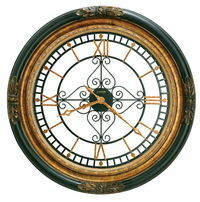 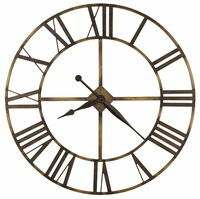 This oversized metal wall clock is finished in aged, worn black with copper highlights. The dial features an aged white background with aged black Arabic numerals and minute markers, a worn blue center disk and triangular hour markers. 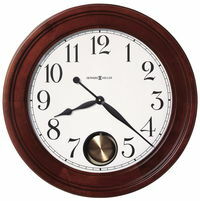 Quartz battery-operated movement requires one AA sized battery (not included). 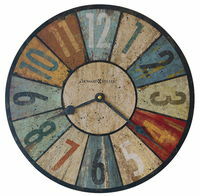 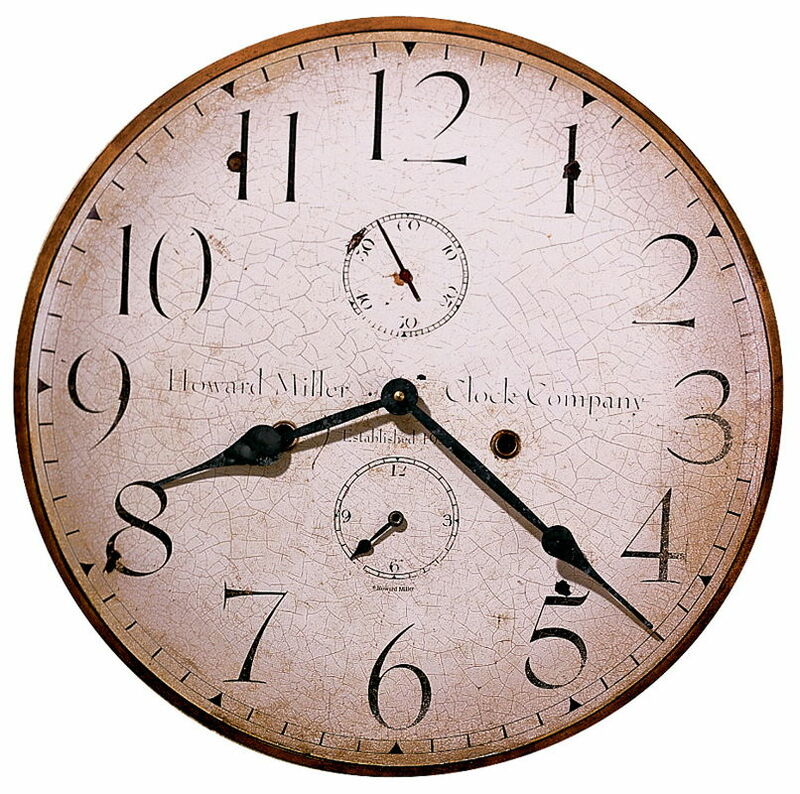 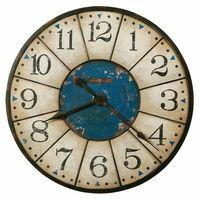 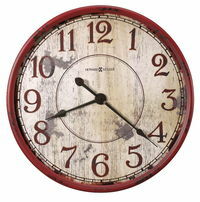 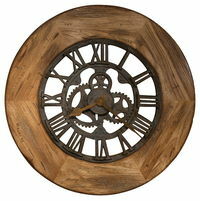 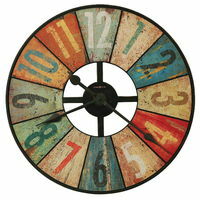 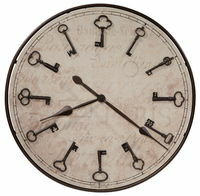 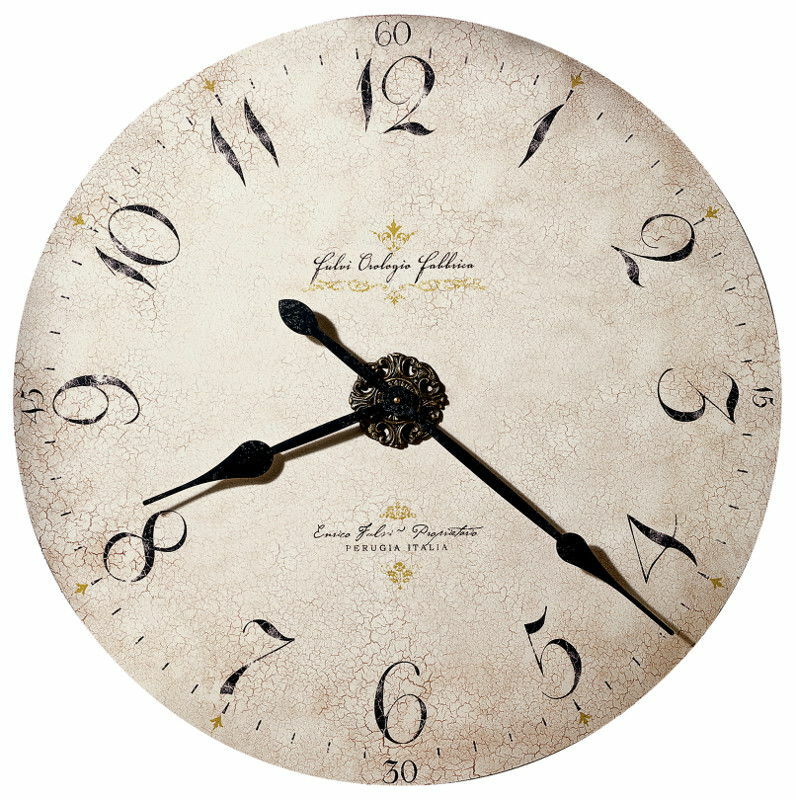 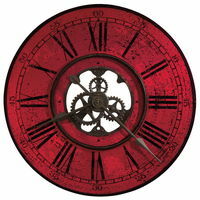 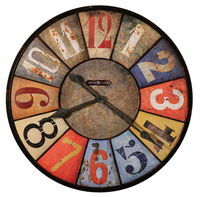 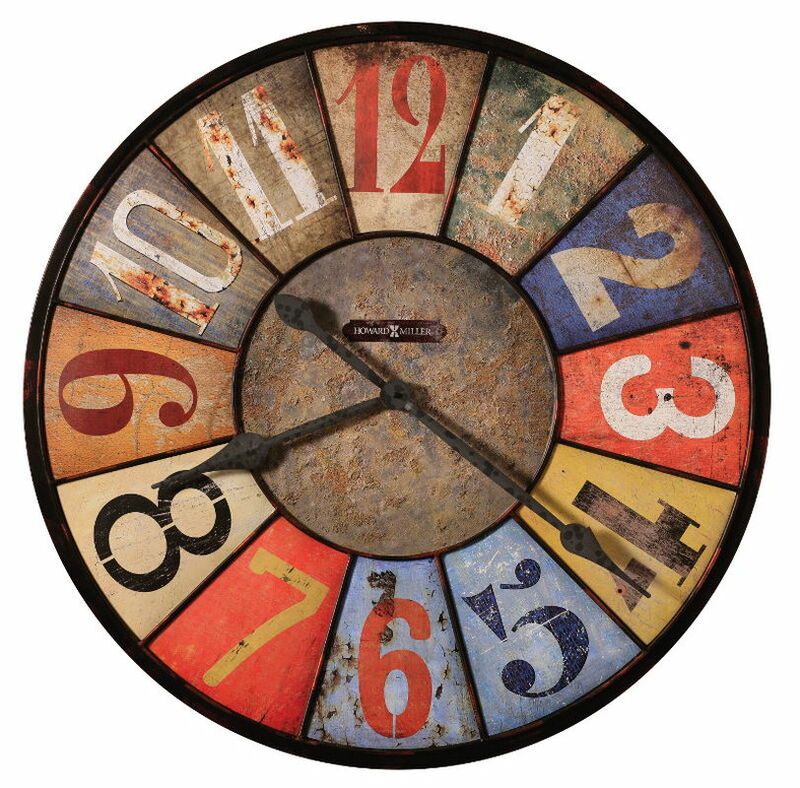 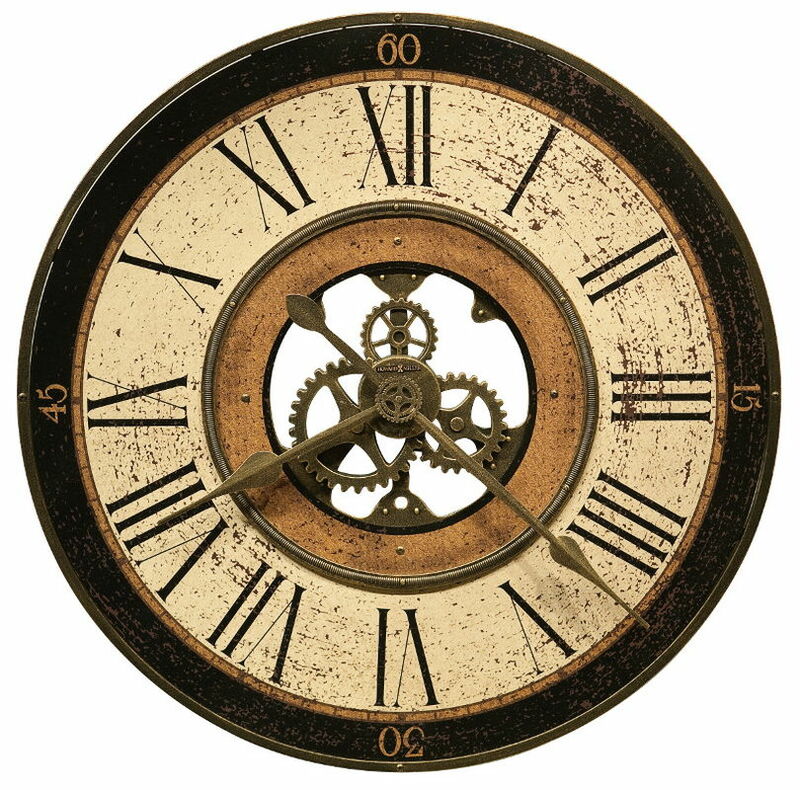 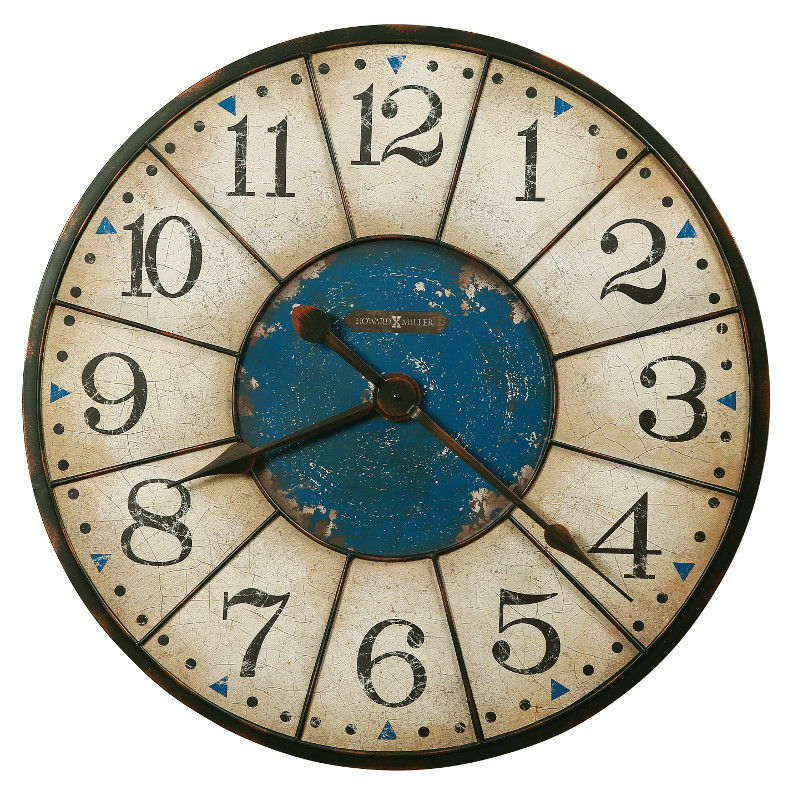 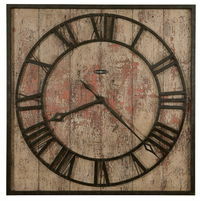 This oversized wall clock features a highly-distressed Antique Red finish. 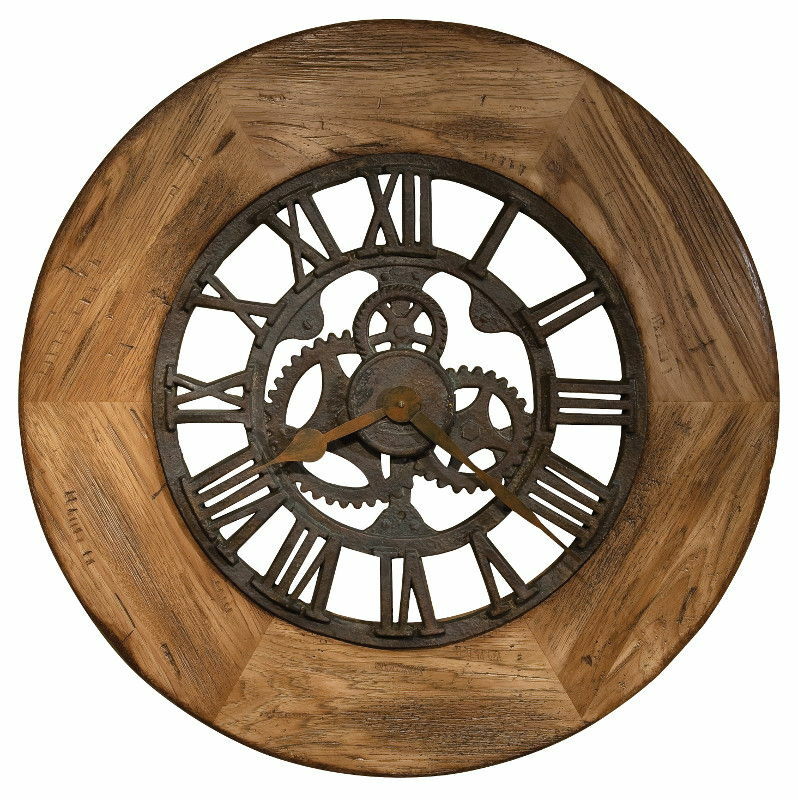 This impressive oversized wall clock is finished in a weathered, Driftwood finish, inspired by the natural yet rustic nature of reclaimed woods.